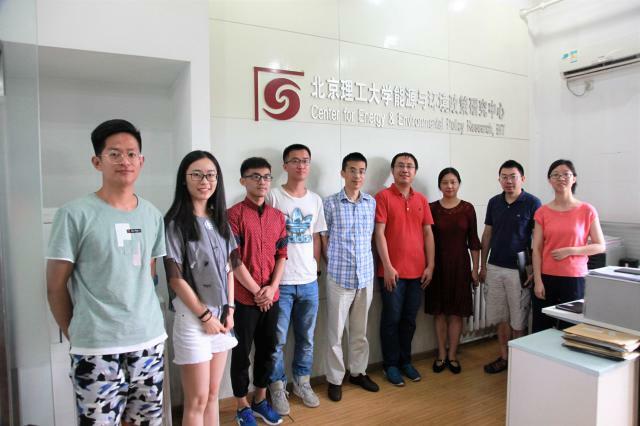 At 10:00 on August 7, 2018, Rong-Gang Cong, assistant professor at department of environmental science, Aarhus University, was invited to visit CEEP and gave a talk entitled “ Where to implement local biotech innovations? A framework for multi-scale socio-economic and environmental impact assessment of Green Bio-Refineries”. The report was hosted by Prof. Hua Liao, many teachers and students attended the report. Dr. Rong-Gang Cong is currently an assistant professor at department of environmental science, Aarhus University. 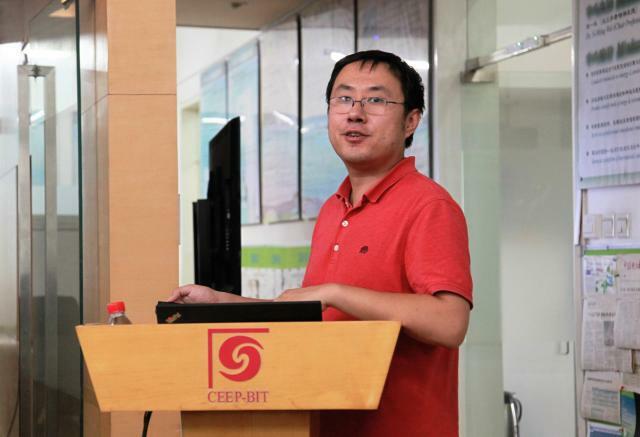 He received the bachelor degrees in cybernetics and management science from Nankai University in 2005, and Ph.D. degree in management science from Institute of policy and management, Chinese Academy of Science in 2010. His research interests include resource and environmental economics, economic behavior analysis, biodiversity evaluation, multi-agent model, mechanism design and experimental economics. He is a member of European Association of Agricultural Economics (EAAE) and European Association of Environmental and Resource Economists (EAERE). He has worked as PI and leader of working package for EU and national projects. Green Bio-Refineries (GBRs) have economic and environmental potentials through changing land use from cereals to grass production and provision of grass-based protein feed for livestock production and other valuable byproducts. However, the potentials are dependent on local conditions of the GBRs, such as land productivity, environmental sensitivity and transport distances for feedstock as well as the regional economy which GBRs are a part of. In today’s report, Dr. Rong-Gang Cong compared the total (direct, indirect and induced) effects of different location choices of GBRs in Denmark at different (municipal, regional, national) scales − a key step for decisions about development of GBRs from both investors' and authorities' perspectives. He integrated a local life-cycle assessment (LCA), a geographic information system (GIS) analysis and an economic-environmental input-output (EEIO) based model (LINE) into a common framework (GIS-LCA-EEIO). The results show that locating GBRs in Western Denmark, where the soils are primarily sandy and livestock densities are high, generates higher socio-economic gains than in Eastern Denmark, where the soils are primarily loamy and the concentrations of livestock are lower. Dr. Rong-Gang Cong concluded by sketching out priority areas for developing GBRs and discuss the policy implications of the results within the context of development of a bio-based economy. After the report, Dr. Rong-Gang Cong took the picture with teachers and students at CEEP together.